I divided what would be a huge review at two parts (three, actually). This one here don’t have any of my personal opinions about the game, as it is more like an “story log” with the info I transcribed and summarized from the game’s backstory. This could come in handy for fans of the EXA_PICO universe who don’t speak Japanese and can’t wait for the localization, specially considering the low odds of the Visual Novel prequel being translated. 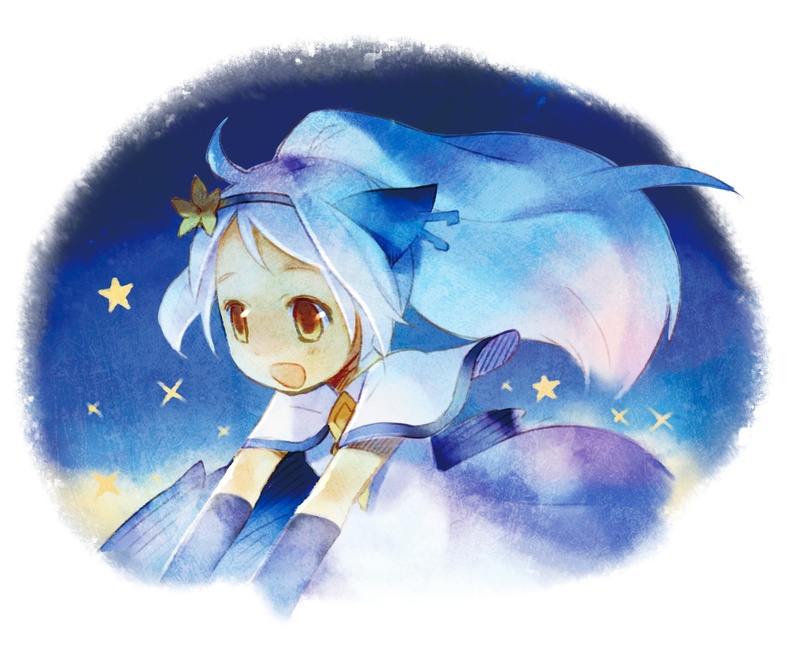 But, if you don’t want to be spoiled about Ciel Nosurge, I recommend you to skip this review. 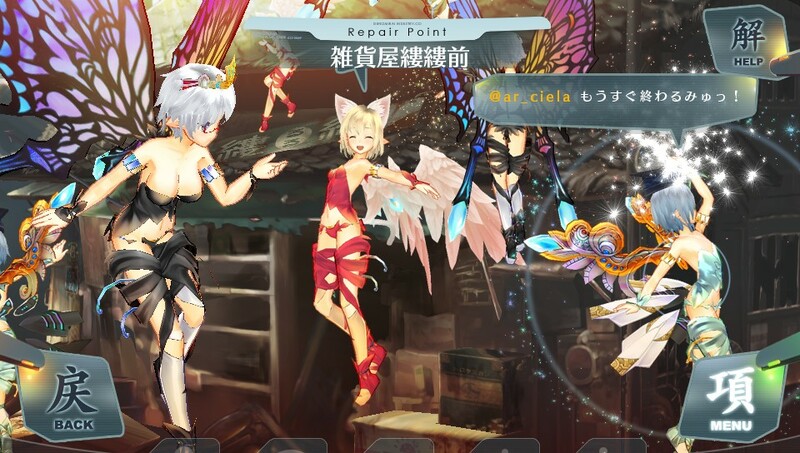 In my Ciel Nosurge review I claimed this new series had no connection with the EXA_PICO universe, but it turns out I was VERY WRONG, as this game sees two (technically, just one) brief cameos from the first Ar Tonelico. It’s unknown to me if this was planned from the beginning since, at the time development started on Ciel Nosurge, it seems Bandai Namco still had part of the copyrights for the series. 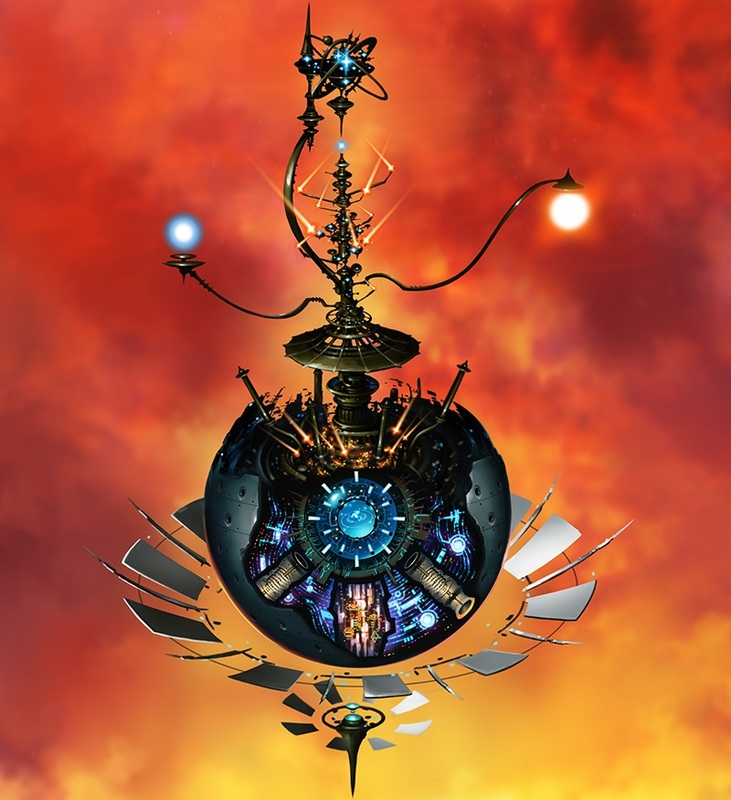 Song Magic – An Ability used only by those with high-level souls. The stronger the feelings, stronger is the result. To reach this end, there’s a special language used to convey the caster emotions. 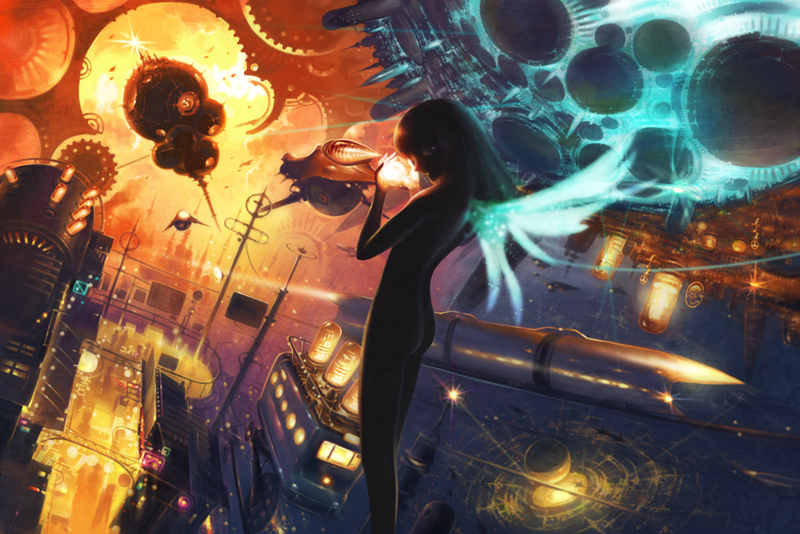 Genometrix – A space created inside one’s mind. It exist only on beings with complex souls. Exploring this space could lead to the maturing of the mind and stronger song magic. Genom – A being with a superior level of soul. They are able to use powerful Song Magic, but don’t possess the vocal cords necessary for the casting, that’s why they synchronize with humans in a process called “first harmonics” so they can use their magic together. They usually look like little winged dragons and are genderless. However, they are able to reproduce by resonating with a person’s energy and emotions and using those as “material” to create a new life. Sharl – A artificial Genom created by infecting a human with a virus that forces it’s life force to be used as resource for the body of a Sharl (on a similar process to the reproduction of a regular Genom). Just like a normal Genom, they are genderless, but can also reproduce through the same method as their “distant relatives”. They originally had no Ego but, after Kanon infused souls of diseased Genoms inside them, they develop childishly personalities. Regardless their small stature being compared to a 10 year old kid, their bodies usually have the appearance of a human adult, which make them similar to a winged hobbit. Humanoid-Type – While a Sharl can also be classified as a Humanoid-type, this term usually refers to humans who obtained Genom Magic powers through a virus that causes a transmutation on their bodies. Their outlook still the same, but they will never age, never grow fat, and will never have to use the toilet again. They retain their original genders and are still capable of regular “human-like” reproduction, but are also able to reproduce like Genoms, resulting on other Humanoid-Type. Since they can use their own vocal cords to make the casting, they don’t need to synchronize with others to use their song magic, but since strong feelings are the source of their magic, they can amplify their powers by doing it. In theory, different from Reyvateils, even males can become Humanoid-types if they use the virus, but until now, there has been none. A Japanese girl named Yuki Nei grew up to be an adult full of insecurities and inferiority complexes thanks to her little sister Aya, who was gifted at many things. She decided to leave her house to become a writer, and since she was born on a rural region, her family was heavily against it, so she cut contact with them. She wrote an illustrated book about a little girl who traveled around on a dragon to have many adventures, but never accomplished anything because, whatever she did would be magically undone, making her feel very useless. When Nei noticed this story was about herself, she fell in despair. At some point, her soul was transferred to the planet Ra Ciela and put into the body of a young empress candidate named Ionasal.kkll.Preciel (nicknamed as Ion). 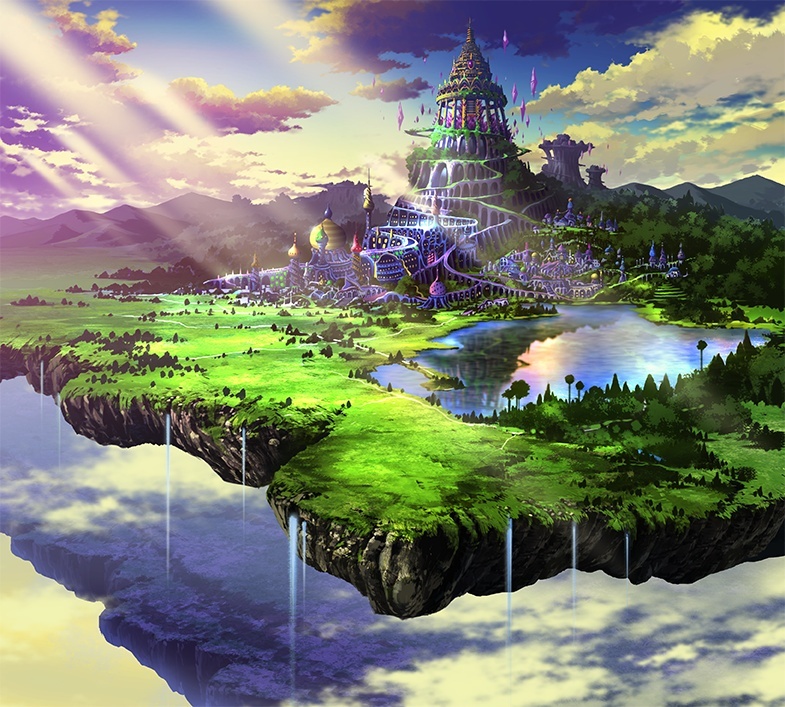 The people of Ra Ciela were in despair as their planet was on the verge of destruction, so they summoned her, who was a being from the 7th dimension (from their perspective, at least) which means she could change reality to a certain extent, but the transfer process made her lose her memories from Earth, so she was very confuse. Against her own will, she got involved on the dispute for the throne against the other candidate Kanoyeel.kkll.Preciel (or just Kanon, for friends). Nei matured a lot during her trials and made many friends, including a Genom called Telefunken and even the former owner of her current body, who was using the body of a prototype Sharl. She ironically renamed herself to Ney.af.lask, which means “the real Nei” on their language. She also finds another being from a superior dimension called “Nero” (A.K.A. Uruuriya). She was being used as a “server” to share song magic with everyone around the world. Nero eventually escapes and becomes the trigger for many disasters to come. Nero is (supposedly) the main character from the book Ion wrote when she was still Yuki Nei. Nero wanted to return to her world at any cost an made many terrible things, but she ended up being forgiven and befriended by one of Ion’s friends Delta (nicknamed as “Taa-bo” at the time). Since Casty was in love with him, she was heavily against a new potential rival on the crew, but even them became friends in the end. Yuki Nei was eventually crowned while still using Ion’s body. As empress, she gave 7 of her friends the title of “pillars”. Together, they planned to fuse all Sharls and Genoms into a single soul and to convert their planet into pure energy, so they could use both as fuel to transfer all the population to another planet called Ar Ciel. An expedition team was sent first, and Telefunken was part of the crew. They lost contact with Ra Ciela and suffered a lot to adapt to this new world’s atmosphere and food. When they were close to dying from food-poisoning, Telefunken fused his body with every single one of them and forced their body to undergo an evolution. As a result, they grew tails and horns and became able to digest the food from Ar Ciel. To show their appreciation for Telefunken, they used a similar name to his as their new race’s name, and they became known as “Teru tribe”. When they were about to transfer themselves to Ar Ciel, Nero betrayed everyone. She tried and failed to use the energy for this plan to transfer herself back to her own dimension, wasting it and making the people of Ra Ciela lose their way to escape from their condemned planet while many Genoms were sacrificed in vain. As a last-minute plan, they decided to go aboard a colossal ship called “Soleil”, but even this giant space-shuttle was not big enough to shelter everyone from Ra Ciela, so countless people were left behind to die with the planet. The most exceptional people aboard the ship were put on cold sleep in a special area called “Felion” to wait for the time when their powers would be necessary. This included most of Ion’s friends. They wouldn’t wake up again for the next 5000 years. Ion begged Ney to take her place as empress (as she was originally meant to be) while Casty and Renall were forced to become Humanoid-types to survive. A Short time later, Ion was captured by Nero and infected with the “Astrocyte Modulatory” virus, which made her a prisoner inside her own Genometrix and destroyed all of her memories. During this period, Nero forced Ion’s body to give birth to countless Sharls to be used by her as fuel on a new attempt to return to her original dimension. 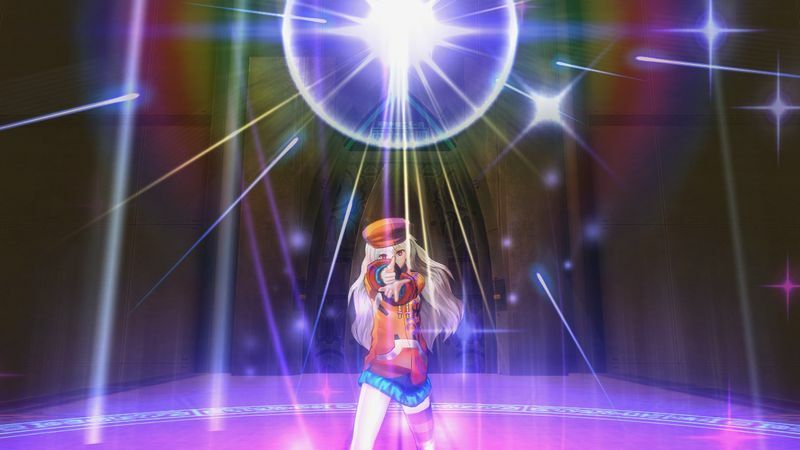 Kanon used her powers to guide the souls of the fallen Genoms to use the body of those Sharls as their own, but little she knew about Nero’s true intentions. 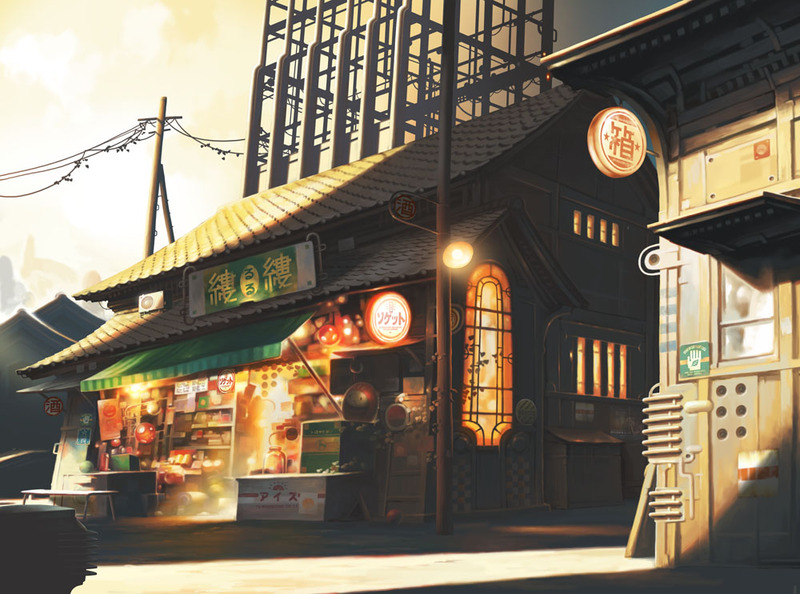 Ion (Yuki Nei) was oblivious to her own situation, as she lived a quiet life inside a peaceful and convenient world created by the virus. Neriko – the manifestation of this virus – would offer her many presents so she would never wish to go out. By messing with some scraps, Ion accidently created a device which used her “pass” to speak with a person from her dimension (the player) with a communication terminal. By mere chance, this person found a program called “World pack”, which could be used to wake Ion up. The player converted bar-codes into energy to create special Sharls who could help fix Ion’s memories. 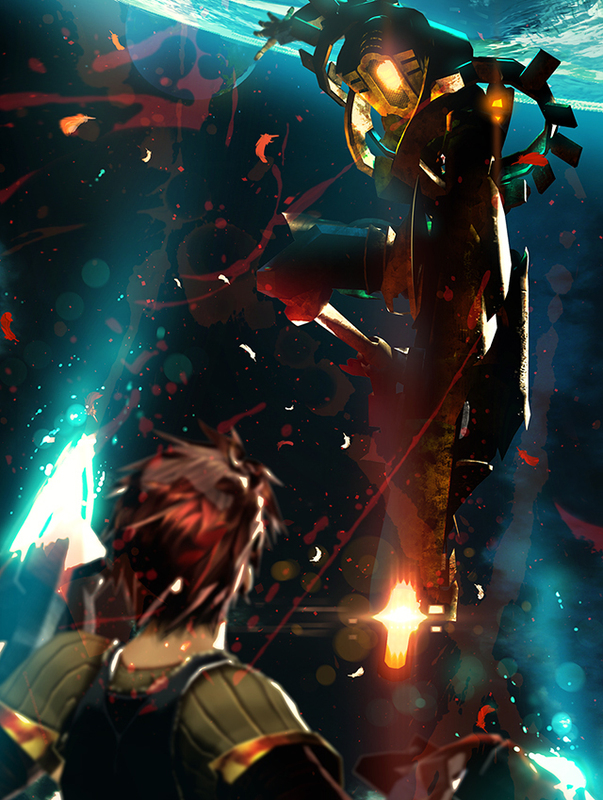 Ion eventually return to her senses with a big resolve to stop Nero once and for all, while the player used a prototype robot as a vessel so he could protect Ion on her mission. 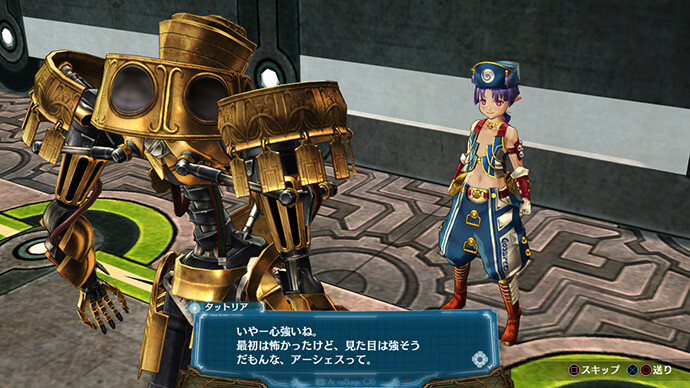 A Sharl named Tattoria noticed the word “Earthes” carved on this robot’s body and decided to use this as a nickname. Meanwhile, the people of Felion woke up to find a ship full of Sharls who were abducting people for unknown reasons. This was the most I could make of the backstory from my playthrough. If I missed something or got anything wrong, please leave a comment. This entry was posted in Game and tagged Game, Gust, PS3, Review, RPG. Bookmark the permalink. 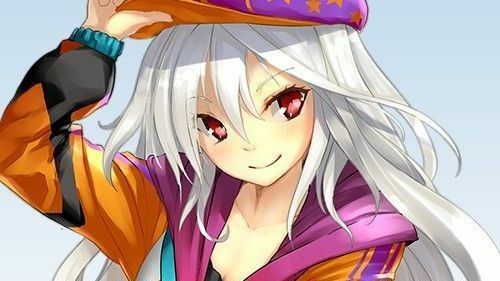 If Ciel Nosurge is very much related to Ar Nosurge (which it obviously is), then wouldn’t that make the probability of Ar Nosurge getting localized would be even more slim? 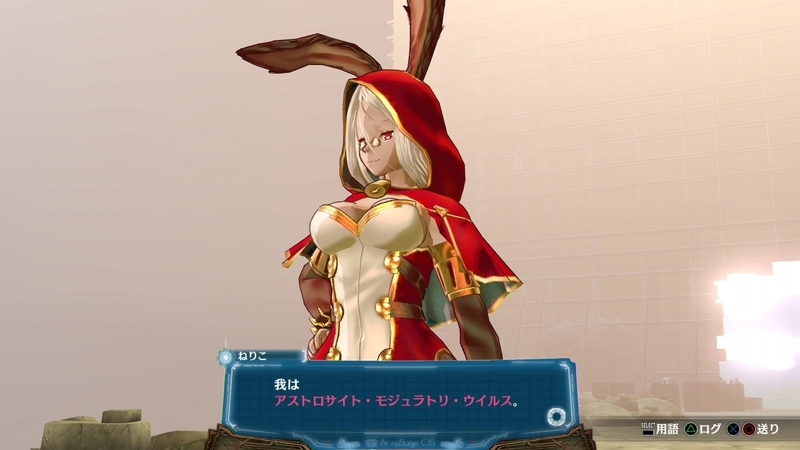 I mean, since Ciel Nosurge is basically the backstory for Ar nosurge. I can’t say for sure, but I believe that, since RPGs are way more popular on the US than Visual Novels, it’s possible they bring just Ar Nosurge and sell it together with a booklet telling the backstory. Or they will just do nothing and make fans very confuse….Let’s hope for the best! Astro-site Mojuratory virus: I’m pretty sure this one should be “Astrocyte Modulatory Virus”. アストロサイト (Astrocyte) is the proper name of a type of star-shaped cell that can be found in the brain and the spinal cord. 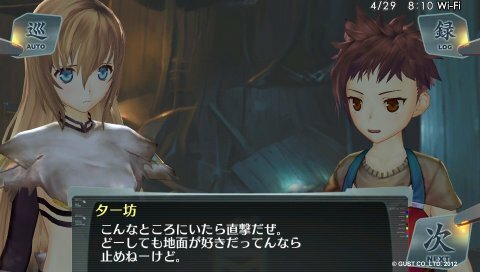 Genoms: I think it was said in Ciel nosurge (as well as in the Ciel nosurge Special broadcasts made by Gust) that Terefunken is just one of countless types of Genoms that existed in Ra Ciela: they could have the shape of normal animals as well as that of fantastical animals, so there weren’t only dragon-shaped ones. 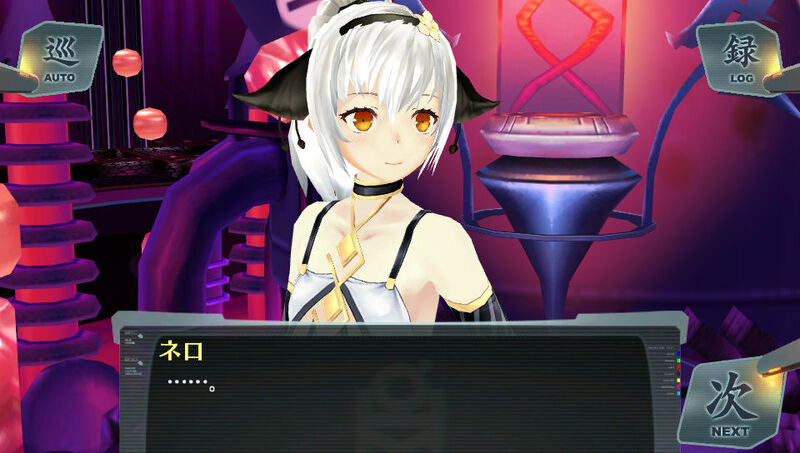 For example, the 唯我 entry in Ar nosurge shows a picture of a girl with a cat-shaped Genom. Astro-site Mojuratory virus – Honestly, Most romanization didn’t came from me or any official source. Most part was from wikipedia and some from the game itself, while the rest I just guessed because I couldn’t find anything about it, this virus name was one of such cases. BTW. Even though the Teru tribe uses “r” on their name, I believe the genom who originated them is suppose to be called “Telefunken” with a “L” because Ion loves mechanical devices. Genoms: Sorry if I got you confuse. The “usually” part was suppose to give the meaning that, in most cases, they are like that, but not always. 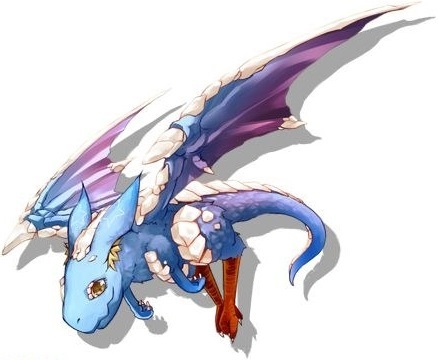 Even when they are not shaped like dragons, they usually have dragon traits, like Tattoria’s friend, who looks like a squirrel, but also have dragon wings and tail, just like the Teru tribe, but by seeing Kozaru’s true form, it’s clear that they are not always dragon-like. BTW, this explanation didn’t came from me. The games also mentions dragons are the most common type. Well, I just call him Terefunken because the extra booklet for Ciel nosurge’s Genometric Concert vol.1 (http://i58.photobucket.com/albums/g243/inuyashaforos/aquagon_album/diagram1.jpg) has his name written like that in romaji in the diagram where it shows how he synchronized with Ion for singing Ahih rei-yah. Ditto for Kanon and COSAL (http://i58.photobucket.com/albums/g243/inuyashaforos/aquagon_album/diagram2.jpg), although COSAL’s name was written like this since the stories that serve as the feelings for Cosmoflips and Rebirthia Protocol were published in the Ar tonelico 3 Setting Materials Collection book. Very interesting! I didn’t know about this Ar Tonelico 3 Materials colletion book. Was this published around the same time as the third game Japanese release? I think it was published around six months after its Japanese release. The previous two games also had their own material collection books.